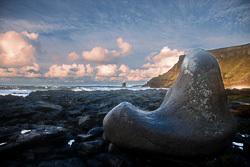 These images of Antrim are just a few of the iconic views of the lovely county. 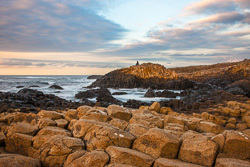 The North Atlantic coast is very dramatic: this is where the Giant's Causeway is located. 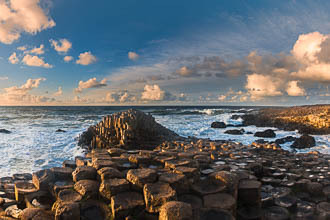 The photographs of the Causeway were taken on a hot and dry summer's day. 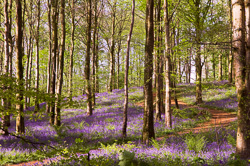 Another wonder of Antrim for us is Portglenone forest. 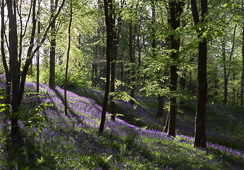 These woods are carpeted by bluebells and wild garlic flowers in May. We were up at dawn to take some early shots and then back at dusk ... and for every hour in between. It is a beautiful and magical place. 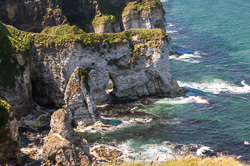 We have many other images of Antrim and would be pleased to look into our archives if you are looking for a photograph of a particular spot.